Savetcon, the in-house events arm of the South African Veterinary Association (SAVA), was formed in 2004, when continuous professional development became compulsory for veterinarians. 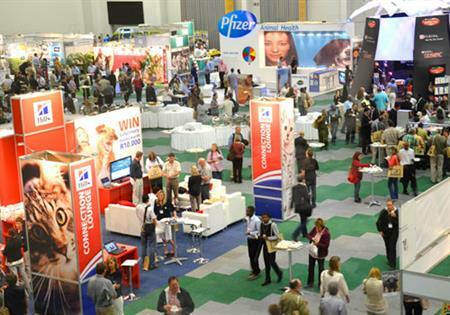 At the same time, SAVA placed a bid to host the World Veterinary Association's (WVA) congress in 2011 in Cape Town, to coincide with World Veterinary Year, which marked the 250th anniversary of the veterinary profession and its education. SAVA presented its bid at the 2005 congress in Minneapolis and the WVA Presidents' Assembly voted South Africa the winning nation. Savetcon was subsequently appointed as PCO for the 2011 event. Director of Savetcon Petrie Vogel helped prepare SAVA's congress bid. She explains: "As the event organiser for SAVA I was very hands-on with the bid, but Savetcon was only appointed PCO in 2008. "Cape Town was chosen based on its excellent facilities, location and the tremendous support we received from Cape Town International Convention Centre and DMC Cape Town Routes Unlimited." Vogel says that the WVA faces the same issue as many other associations: lastminute registration for the event. "In our environment it is always difficult to deal with the large number of professionals who do not pre-register and just show up at the congress," she says. "This causes long registration queues and needs crisis management in terms of on-site demands." Vogel met the demands on site by placing more staff on the registration desks and simplifying the registration process so that there was a 'quick' registration option. Exhibition set-up commenced on Saturday and a pre-congress session on small animals was held on Monday, with a cocktail party staged in the exhibition hall that evening. The congress opened on Tuesday with the main plenary session, followed by parallel sessions that continued on Wednesday and Thursday. A dinner was held at Grand Cafe on Wednesday evening and the congress gala dinner took place at the conference venue - Cape Town International Convention Centre - on Thursday. Optional specialist workshops were held on the Friday. Social programmes and activities for people accompanying delegates included day trips around the Cape Peninsula and the world-renowned vineyards, while preand post-congress tours took in Kruger National Park and Johannesburg. The congress attracted 59 exhibiting companies, 436 speakers and welcomed 2,083 participants. "We expected more delegates but are still thankful for the attendance we had, given the current economic restrictions," says Vogel. "It was a one-off experience for the South African delegates and excellent exposure for the companies involved in the exhibition," she adds.